Foreign passportthat has an expiration date about to expire, is not subject to prolongation by the stamp, it needs to be replaced. In this case, the citizen is given the right to choose what kind of document he wants to make – regular or passport of the new generation. Decide what kind of passport you want to draw. The new-generation passport has an electronic media and is valid for 10 years, usually 5 years. The fee for registration of these documents is also different. For the passportof new generation and she is 2 500 rubles (children under 14 years – 1 200 roubles), for the ordinary foreign passportand this sum is equal to 1 000 roubles (children till 14 years – 300 rubles). With the residents of the Kaliningrad region the fee is not charged. Complete the application form. Its form you can find on the official website of the Migration Service of the Russian Federation. Please note that applications for ordinary foreign passportand a passportand the new generation are different. Print the statement on one sheet from both sides in two copies, seal and signature of the organization in which you work. If you decide to issue the passport of the new generation, you can apply electronically on the Portal of public and municipal services. This service is free. Make 2 photos. Warn the employee of the photo Studio that you need a photo for a foreign passport. They know the requirements, should be presented to the image. Pay the state fee for issuing a passport. Receipts and fill pattern you can find in the territorial body of the Federal Migration Service of Russia. To find the address of territorial body of the FMS you can on the official website under the "FMS of Russia", the link located at the top left of the home page. 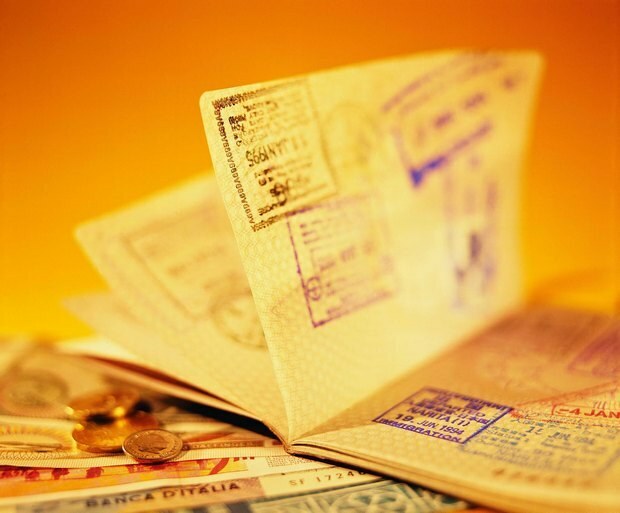 Attach to the shared documents your internal passport and international passport, the validity of which has expired or will expire in the near future. Men aged from 18 to 27 years are required to provide a military ID with a mark of completion of military service, if it was passed or marked "not fit" or "partially fit". To obtain a passportand a person under 14 years must be accompanied by documents birth certificate with a mark about citizenship on the reverse side. Submits documents to the FMS legal representative, he must provide his passport. Contact territorial body of Federal Migratory Service in the hours allotted for the reception of documents for registration of a foreign passportagents. Term of manufacturing of the new passportand is 1 month. You need to re-submit the documents for issuing the new biometric passports, and you get it for 10 years. You need to renew passport? Answer: the same package of documents that when the issue of a new passport (copy of civic, passport, employment records, photos, application form in 2 copies and additional help, if needed). Documents to obtain passports. Two questionnaires certified at work or school. Now go to apply for the registration of a foreign passport. Spring and summer probably will run queues, since the season and everyone is in a hurry to make a passport. Passport is issued for 5 years, the procedure for renewal of passport is no different from the primary receive it, the only difference is that getting a Visa will not have to re-obtain.